When you call a professional you trust them to do a good job. You expect them to have all of the tools or instruments they need. When you call Carpet Surgeon not only do you get all of their expertise but you can count on them having the right tool for the job. So, when you’re in a panic about that suspiciously iron-shaped scorch mark on the carpet and you call Carpet Surgeon for a solution; you may find that a micro-shearer is mentioned. Phew! Okay, so you can breathe a sigh of relief. The problem can be fixed. But what actually is micro-shearing? A micro-shearer is a specifically designed machine that trims the uppermost fibres of your carpet. It has sharp, precisely angled blades enabling total control in the hands of your Carpet Surgeon. For your ironing accident this is the perfect tool for the job. When an iron touches the surface of your carpet the fibres are either singed or melted depending upon the fibre content of your carpet. 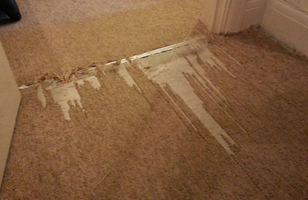 Those melted or singed fibres will be trimmed away revealing the undamaged fibres of your carpet underneath. What if the carpet damage was more serious than a scorch mark from your iron? Well, whether you’ve melted your carpet with your hair straighteners, your fire has spat out a spark or there’s been a mishap with a cigarette, micro-shearing solves your problem quickly and cost effectively. Your Carpet Surgeon can micro-shear your carpet to a depth of about 3mm if needed. And there’s no need to worry about your carpet being left looking patchy as the micro-blades are set with millimetre precision and the area surrounding will be feathered out resulting in an invisible-to-the-eye repair. Micro-shearing is not limited to cosmetic repair jobs such as this but is also perfect to give a general ‘face-lift’ to your carpet. Over time wear and tear can give your carpet a fluffy look. This is called carpet bearding and, yes, you’ve guessed it, micro-shearing is the perfect way to trim away that unwanted fluff. Carpet joins or uneven floors are particularly prone to carpet bearding but micro-shearing gives your carpet a make-over leaving it looking like new again. Micro-shearing is used to improve the appearance of almost all carpet types. If you’re unsure if it’s right for your situation then all you have to do is ask a professional. If it helps you can even send a photograph to Carpet Surgeon to examine. 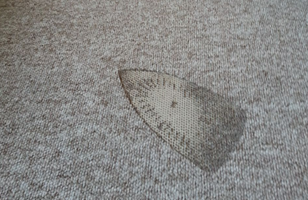 If the damage is more serious than cosmetic Carpet Surgeon may suggest a small ‘nip & tuck’ of a patch repair which of course can be undertaken when and where required. As one of the few companies to offer the micro-shearing service your Carpet Surgeon will know when the micro-shearer is the right tool for the job and it will probably be the quickest and most cost effective option for you. No need to make an unnecessary insurance claim potentially bumping up your premiums or causing you to lose your no-claims discount. Micro-shearing will quickly and efficiently be performed on site with little or no disruption to you and with little evidence of anyone having even been there, other than leaving a carpet that once again looks like new. 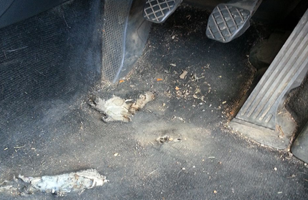 To consult your Carpet Surgeon professional use the contacts page or call 07899 99 24 24 with confidence.